During our 2 months in New Zealand we ended up spending just over 3 weeks in Auckland, partly due to cyclone Evans impeding on our plans for Fiji and partly because we actually quite liked the place. Auckland itself is a very large district with many smaller areas and villages, however we spent most of our time in the CBD, the name for the city centre. Despite it being a city and the largest in New Zealand at that, it still feels more like a large town. With only 1 and 1/2 million people the district of Auckland feels more like a London borough then the cosmopolitan centre of New Zealand. Yet it is for this very reason that we ended up spending so much time there. I have never been a fan of large cities and even though in the UK I live less than hour’s train ride to London I rarely enter city. In fact the only city I have ever managed to enjoy is Barcelona, Spain. The main reason being that it, like Auckland, is coastal and so despite the traffic and people you still have a clean air feel to the place. Plus, with its many winding streets you feel more like you are in a town than a city. Now Auckland may not have the historic charm and winding cobble streets of Barcelona, but it does have an abundance of spaces for people to relax in. Whether you want to sit by the harbour docks, lounge in the crowd-less parks or enjoy a picnic on a beach, there is a place for you. 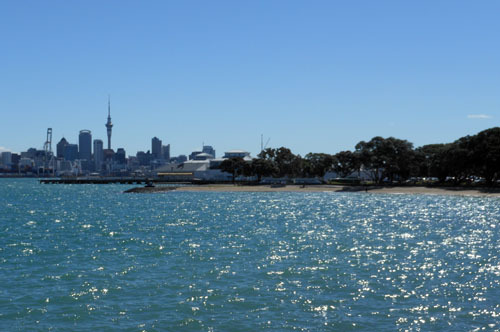 There are also numerous islands you can visit on a day trip, such as Rangitoto the volcanic island, or you can just as simply take the ferry across the water to one of the many little villages such as Devonport or Birkenhead for a day of strolling on a beach or eating at one of the many little sidewalk cafes. 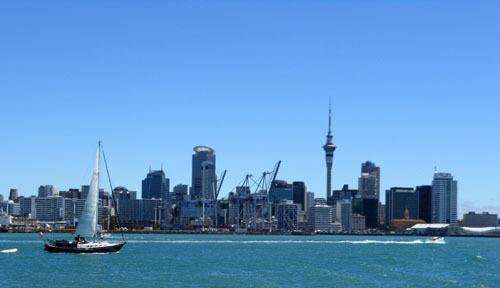 Auckland itself has numerous attractions from the Sky Tower where you can see the city and bungee jump, to the museum where you can experience a Mauri show first-hand. The heart of Auckland is not very big and because of this if you are situated in the CBD, the centre, you can easily walk everywhere. It also seems that Auckland always has something going on, from events to concerts, for example at Christmas they had a big outdoor concert in the main park and it was free for all. Personally, I think you could easily spend 2 weeks in Auckland casually exploring the area and nearby islands. However, if you’re looking to spend time in a truly cosmopolitan city crowded by hoards of people then Auckland isn’t for you. But if you want a miniature version of a city still packed with cuisines from all the world, cafes and shops, but without the crowds then go and explore Auckland! After our 2 weeks in the North Island of New Zealand we took the 3 hour ferry from Wellington to Picton. We spent 16 days in the South Island, making it as far south as Queenstown, and as far north as Cape Farewell. As we had spent a couple of days around Abel Tasman we decided to go all the way and drive to Cape Farewell. 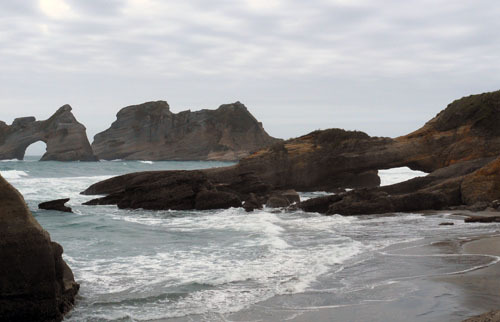 We had been advised to visit the beach of Wharariki, and so we went. From the car park it’s supposed to be around an hour an half there and back, however we got confused with the signs and ended up on a different trail through farms and going much further before realising we weren’t on the right track. Heading back we finally found the beach and despite the fact that the wind that had picked up and the tide had come in, something worth checking before you go, we still went for a wander as it was a very pretty area. Kaikoura was easily one of the nicest areas we visited in the South Island. 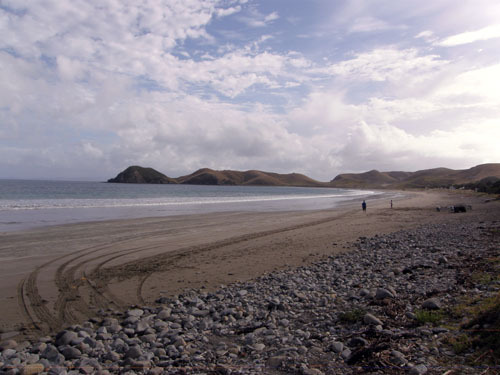 Apart from offering dolphin and whale watching tours the area has penguin and seal colonies. 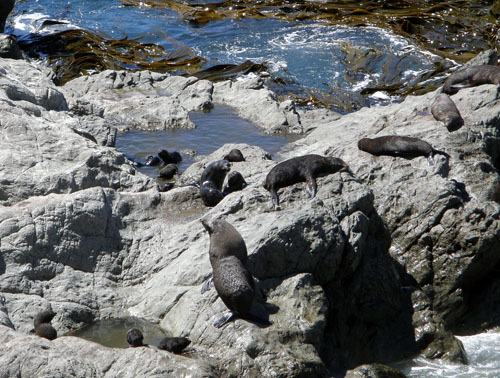 The seals inhabit the rocks and shores along the whole coastline of Kaikoura and you can park up at almost any of the colonies to take photos. In one particular place we found you could freedom camp alongside them! In fact we had not gotten so close to seals since seeing them in the Galapagos Islands and it was truly refreshing to see people respecting the animals’ territories. The fact that there are no restrictions, barriers or charges to see either really surprised me. I was amazed at how respectful locals were to their wildlife and how trusting they were of visitors. In my mind this was another big plus point for New Zealand. We didn’t spend much time in Christchurch itself as a lot of the centre is still closed off to public access following the devastating earthquakes. As such we headed south east to the Banks Peninsula. With its little coves and beaches dotted along the coastline it makes for a pretty area to spend a few days. The weather seemed to be best we encountered in all our time in the South Island and there were plenty of little villages to explore. The best thing we found was a free camping site on Lake Forsyth where we could spend the evenings watching the sunsets over the water and the mornings feeding the ducks and roosters, not sure where they came from but we had 2! 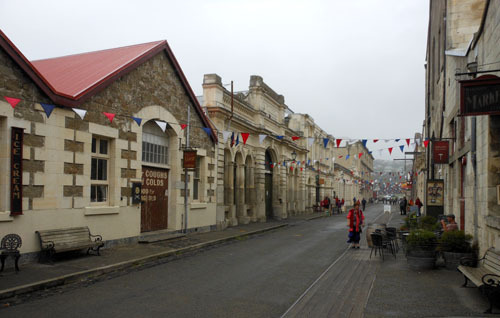 On a wet and cold afternoon we stumbled into Oamaru looking for the blue penguin colony we had heard about and were pleasantly surprised to find the centre of the town in full Victorian mode. From the buildings to the markets it felt like stepping back in time to the Victorian ages. After a walk around and with a hot coffee in hand we headed off to the blue penguin colony centre. Unlike the other penguin colony in Kaikoura this was a paid entrance as the centre basically looked after the penguins by providing them with nesting boxes and a safe area to lay their eggs. So we paid our NZ$12 entrance fee and went in for a look. The blue penguins are the smallest in the world and at just 30cm tall they are also the cutest! 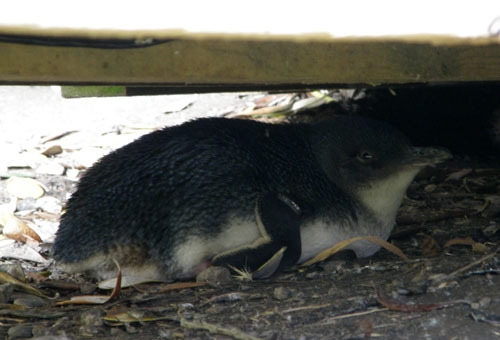 Although again we had turned up during the day and the penguins weren’t due back until evening we got lucky and were able to see a couple hiding under the pathways along with a few nesting with their eggs. 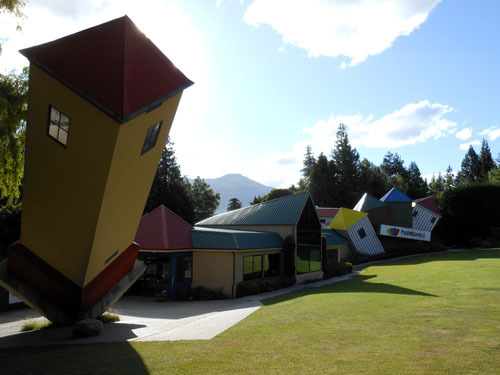 On our way to Queenstown we happened to stumble across the Duntoon’s Vanished World Centre, which promised a journey back in time. We didn’t have high hopes when we pulled up to the small little centre but thought as we’re here let’s take a look. The entrance was NZ$7.50 each and we learned that the centre was staffed purely by volunteers. 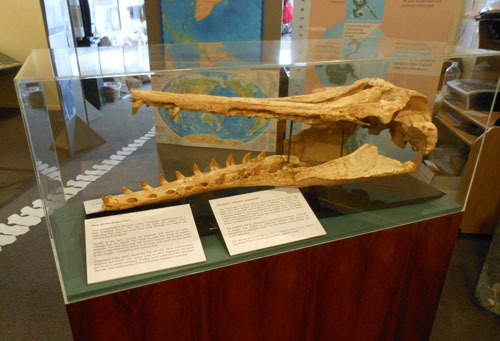 To be honest we were slightly disappointed when we entered the room, despite having a nice collection of artefacts and letting you get really close to them we thought, this is a bit small. We were just about to leave when I ventured into a side room with tables and chairs and what seemed like little plastic trays. Moving closer I took a look and saw sandy rocks and little picks beside them, I thought I wonder what this is for? To my complete amazement it turned out that you could literally dig out your own fossil from a rock and then keep it as a souvenir! All of a sudden I had taken off my jacket grabbed a rock and pick and set to work. I turned to see my partner hard at work in a tray next to me and after a couple of failed attempts we started to dig out some shells. We got so engrossed in it that before we knew it they were closing for the day. Having only gotten half way with my rock I was a little reluctant to leave as I thought, how am I ever going to finish digging it out? No sooner had I voiced my concern that one of the lovely guys gave me an old tool to take away with me. Pick in one hand and rock in the other I felt like the new Indiana Jones and spent the whole of the day trying to convince my partner to pull over so we could dig for fossils! I had read about Puzzling World in a leaflet and decided it would be worth a stop. Consisting of a maze and several mind bending puzzle rooms we thought it a good way to spend an afternoon. You can choose to visit either or both together and we opted for both at NZ$16 each. There are several different puzzle rooms from 3D optical illusions to a tilted room which plays havoc with your sense of balance and perception. Should these rooms not be enough to exhaust your brain you can always spend some time in the bar area where there are numerous puzzles laid out on the tables to entertain visitors, or should I say frustrate? 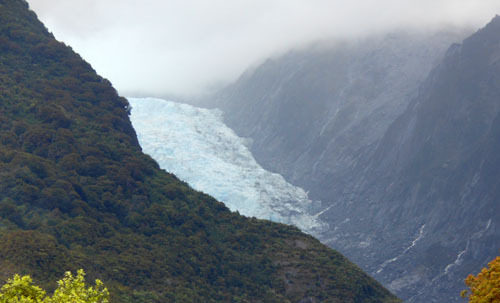 We had planned to do a walk on the Fox glacier and booked ourselves in, however as was the case with all our trips on the west coast the rain did not seem to want to relent and as such we ended up having to cancel, despite waiting 3 days in the area. 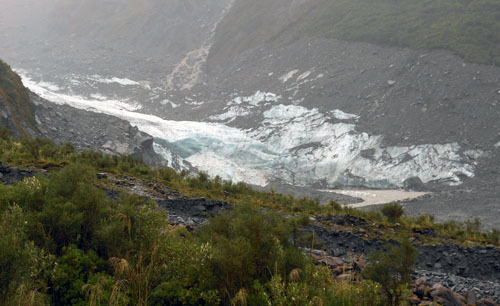 The nice thing about booking with Fox Glacier is that you can cancel your trip up to an hour before, probably due to the fact that the weather there is so unpredictable. Ever since I saw a photo of the bridge leading to Arthur’s Pass I wanted to see it in person and it really is an impressive sight. 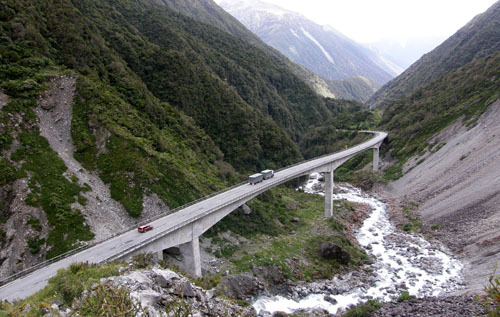 The best view of the structure is from Death’s Corner Viaduct, a left turning view point just after the bridge when heading to Arthur’s Pass. From here you get to see the whole bridge in its amazing surroundings. The east coastline of the north island, with particular emphasis between Napier and Gisbourne, had some of the best weather we encountered anywhere in New Zealand. The area is divine with beautiful beaches, numerous vineyards and it seems they can grow just about every fruit imaginable. 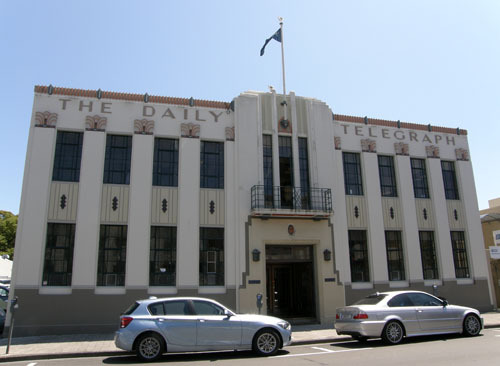 If you like your architecture or just fancy seeing a snapshot of the past, then Napier is a must. This beautifully rebuilt town makes you feel like you are stepping back in time to the 1930’s. 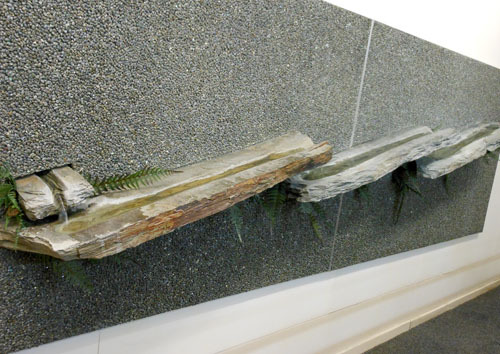 We had heard that it was a one of a kind, but didn’t really believe it until we saw it. Also as its situated on the coast it has miles of beaches stretching out in either direction, making it an all-round perfect little town! 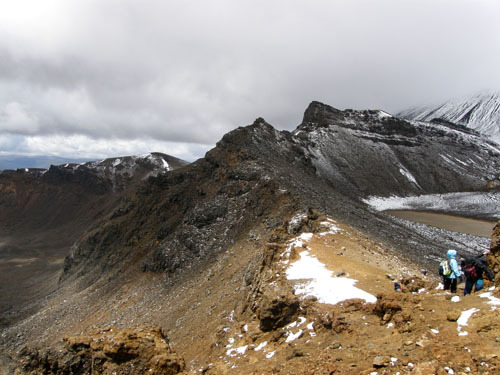 We didn’t know much about the Tongariro National Park except that there was a walk which seemed really cool. Arriving in the evening we headed out to the i-Site and discovered that the walk we were interested in was indeed the Alpine crossing trek. The normally 8 hour walk was however, partly closed due to recent volcanic activity. Nevertheless, we would still be able to get to the crater and the lakes. We arrived back at the i-Site at 9am the next morning and were informed that we can not get to the car park where the trek starts as it’s closed to public traffic and we would have to take a return shuttle for NZ$35 each. We had been warned that it would be windy at the top but we thought with our layers of Icebreakers and light snow jackets we would be fine. To be fair we were ok, even after it rained and it felt like our combats were made of ice and stuck to our legs, we still felt ok to carry on. 3 hours into it and nearly there, we had even dried off from a little sun, we hit the edge of the crater. We could barely see what was in front of us due to the clouds and the wind was really picking up. Despite it we made it across and were welcomed by a break in the weather and even managed to get a look at the crater we had crossed. Feeling inspired we started to climb out of the crater and in essence towards the last leg of the journey – the Emerald Lakes. Big mistake. As we made our way up the ledge the wind was so strong it was literally pushing me towards the drop on the other side. But it wasn’t so much the wind as the temperature that was the killer. It felt like being in a freezer with a wind turbine behind me. I can honestly say I have never felt so cold! Despite my gloves, albeit thin ones, I could not feel my fingers and I could barely bend them! I knew then I could not carry on, despite being just half an hour away from the lakes we had to turn back as I could feel my body temperature dropping. As such it took me nearly the whole walk back down to warm up sufficiently to get some feeling back in my fingers. Having said that the scenery was really beautiful and I will definitely return one day to do the full trek, just with proper gear! 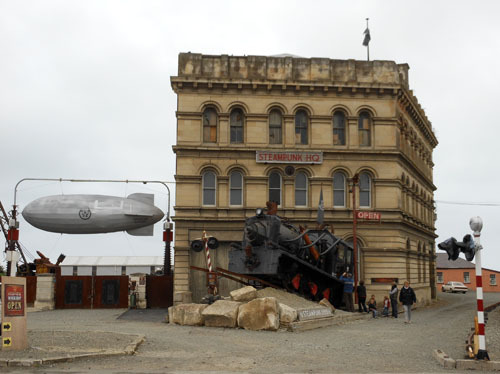 The town itself may not be as pretty as either areas but what stands out about New Plymouth is its location. 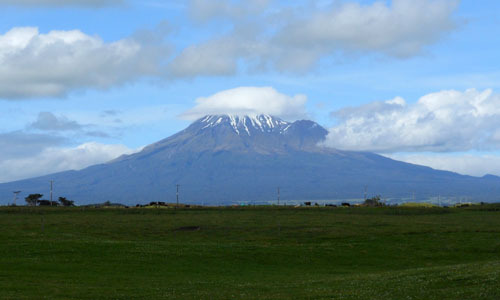 Built on the north side of Mount Taranaki, the town has the coast and mountain range on its doorstep, giving visitors the chance to relax on the beach or explore the forests of the national park. A great drive is the surf highway which follows the coast around from New Plymouth to Hawera taking in surf beaches along the way. The largest lake in New Zealand is a must for everyone. Not only for being in an active geothermal location but also for the numerous activities available. Lake Taupo for us was one of the nicest areas of the north island. 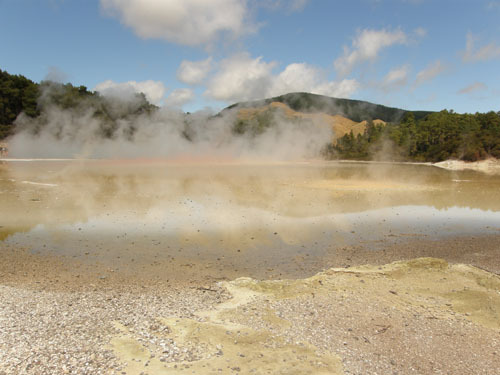 Along with its neighbour Rotorua, Taupo has an abundance of thermal pools and spas. However, for a more budget option try the DOC pools in Tokaanu at only NZ$6 per person or NZ$10 per person for a private pool. 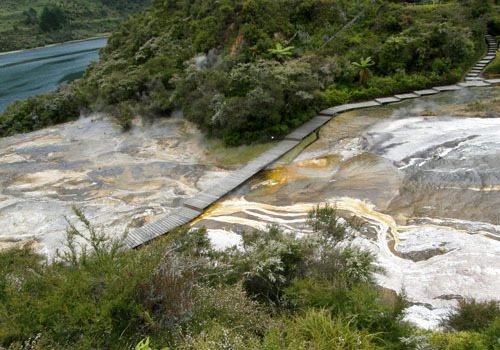 Other highlights to the area were Orakei, NZ$36 per person and Wai-o-Tapu, NZ$29 per person. 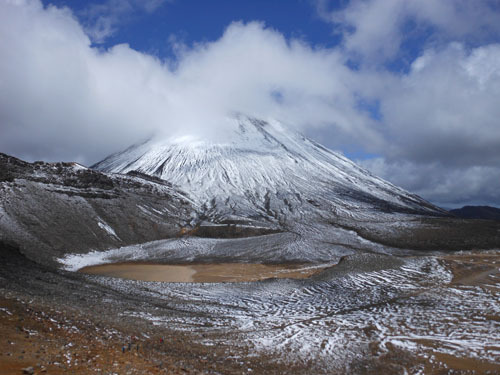 Again, there are many options available between Taupo and Rotorua to see geothermal activities such as sulphur lakes and geysers, but we thought these 2 were best in terms of value and offerings. By the time we reached Rotorua, north of Lake Taupo we had already seen our fair share of geothermal activity. 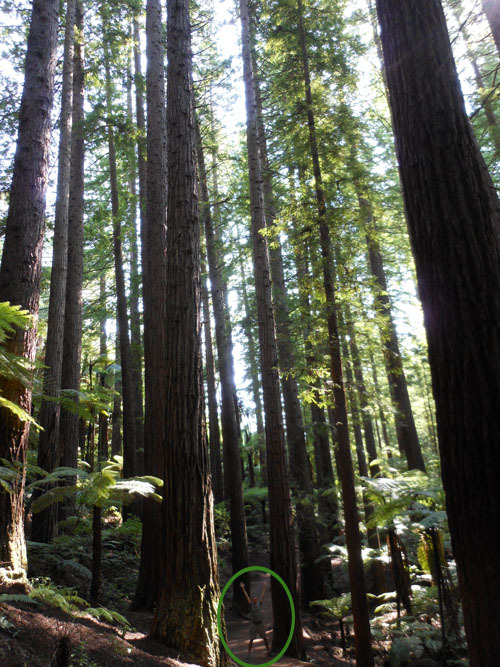 As such we opted to do something different and spend a leisurely afternoon in the redwood’s forest, which is free to access. If you opt for the “yellow” track and go to all the lookouts you can actually get a bird’s-eye view of the Te Puia geothermal complex, including the geysers. 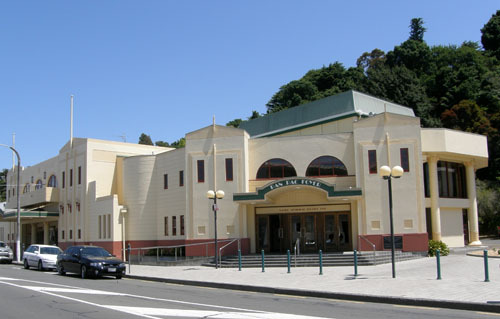 The town of Rotorua is also a good place for Maori culture shows and villages, and there are many options available from just a show to a full evening with Hangi, food cooked in ground oven pits. 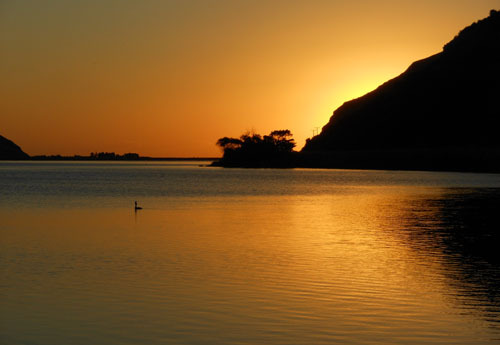 If you’re a beach person you will love the Coromandel region. Not only does it seem to get the best weather in the area but it also has some of the best sandy beaches too. Despite our rental agreement we took our campervan off-roading and drove the extra hour from the town of Coromandel through the winding gravel roads to the tip of the peninsula – Port Jackson. This lovely little bay had a large DOC site literally on the beach and on the off-chance you ran out of the basics, a small food van came by everyday with bread, drinks and of course ice! The place was an obvious favourite with locals as there were hardly any tourists there, probably due to the rental contracts, and in the true good-natured spirit of the Kiwis, we even got given a giant fillet of Snapper on our last night – delicious! 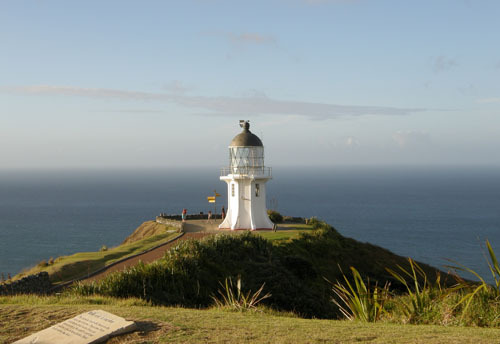 At the very tip of the north island stands a little white lighthouse in the area known as Cape Reinga. This cape is not only famous for being the furthest point in New Zealand, but also for the fact that the Pacific Ocean on the right meets the Tasman Sea on the left, making a lovely backdrop for sunsets. 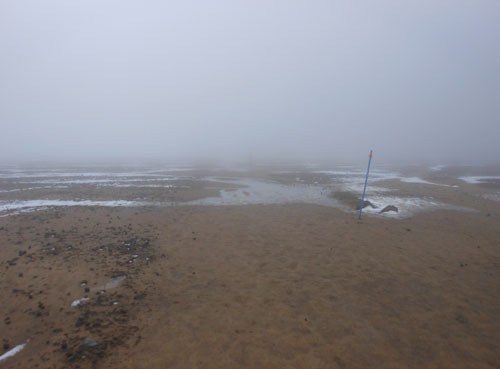 The ninety mile beach also ends here and tours can be taken to drive along the beach and reach the lighthouse. Although, if you visit Cape Reinga independently I would advise arriving in the evening after all the tours have left so that you have the whole place to yourself! As we had to cancel our trip to Fiji due to cyclone Evans, we decided to spend the money on getting a campervan and travelling around New Zealand for a month instead. We originally looked into a Flexipass from Intercity, a pre-pay system for your bus travel, and bought 40 hours each worth of travelling. Problem was we soon realised that we couldn’t really get to the places we wanted, when we wanted. Unfortunately, there is no way of finding this out unless you buy the ticket, get your access codes and then look at the routes and times on the website. Having realised we wouldn’t be able to see what we wanted we requested a refund. This all went through without a problem as we hadn’t booked anything, one of the clauses for a refund. With the money back we decided to look into a campervan instead. We had 2 choices, rent from a company and have no hassles or worries if anything goes wrong, or buy a vehicle and then sell it at the end. This latter option is more popular than you might think, especially as insurance is not compulsory in New Zealand. The downside is you take a risk with the vehicle when you buy it and you also have to make sure you can sell it at the end of your trip. Personally I think if you have under a month it’s not worth the hassle, but if you are planning to travel for a few months then it could save you a small fortune. You can buy a car or MPV from hostel billboards, auctions (there is one on Saturday mornings near the quay in Auckland, just ask any hostel for directions) or backpacker websites. In terms of the rental market there are a few main companies including; Escape, Wicked, Spaceships, Lucky, Jucy, Apollo and Britz. The last 3 start getting pricey but depending on what you are after you may find them useful. The rental price varies greatly on the time of year you are visiting and as such it pays to shop around. For size and value we opted for Escape, it seemed to offer the most, including the largest bed in the budget category – which is useful if your partner is tall! Based on previous experiences of camping around Europe I have to say that New Zealand is a breeze. Not only are there numerous campsites dotted around the country but there are also, and what I believe to be the best option for a budget, DOC and scenic reserve campsites. Most of these are managed by an honesty box, basically a box where you place your filled in form and payment, and facilities range from just compost toilets to cold showers and even cooking facilities. These campsites rely on visitors paying their fees, taking all rubbish away with them and respecting the local wildlife. They are usually found in some of the best places around New Zealand and prices range from NZ$6 to NZ$12 (around Auckland) per person. Be warned that in New Zealand it is against the law to just camp anywhere. But if you are fully self-contained (with your own toilet facilities) then you can “freedom camp” which means you can stay for free at certain designated places. If you opt for a non-self-contained camper you will not be travelling with your legs crossed praying for the next toilet. I have never seen so many free public toilets in one country as I have in New Zealand. And as a general rule most i-Sites have toilets and any village larger than a dot on a map will also have facilities. Apart from cold showers at some DOC sites certain i-Sites, mainly in larger towns, have showering facilities for a few dollars. You can also get a solar shower, provided by most rentals when you take out full insurance, which allows you take a warm to hot shower depending on the weather. A tip for technology addicts is that almost every town with a public library seems to offer free Wi-Fi access, some are time limited but most are not. If travelling along the coast and they are to your taste, you can happily fish for your own mussels, clams and oysters. However, local authorities urge you to only take what you will eat so as to not over fish. The roads in New Zealand are in excellent conditions and apart from the odd gravel road you can happily drive almost anywhere with your rental. Also, due to the roads and size of the country you can easily travel the 2 islands in about a month. Having said that if you are looking for a slower pace and really want to take in everything you could happily spend 3 months on the road; just be realistic about your budget! Travelling. It seems to have become the trend of the 20th century. It is a must for young and old alike, something to enrich your life and your CV. Those who travel write about it and those who want to travel talk about it. Ultimately, everyone has their own reasons for wanting to travel, most would say its to see the world, or to make the most of their life, some may even say its simply just because it sounds like fun. But I have to ask, is this enough? My initial reasons had always been to experience the world and learn about new cultures, before I inevitably settled down in one place and joined the rest of society with a “normal” life. I know some would say that you don’t have to “settle” and you could change your life to in essence travel forever, moving from country to country for potentially most of your life. However, despite the desire and pull to travel, I know deep down this is not my ultimate goal. I admit I do eventually want my own house, with a piece of land to call my own. I am not saying I necessarily want to marry and have kids, but I do feel that I will want to set down roots sooner or later. And strangely enough, the more we travel the more I am aware of that urge. So I ask myself why am I travelling? The answer that comes to my mind is not what I had expected. The obvious answers do not fight for prime position, but rather shy away to a different answer, one that I had not expected. After all, I was sure I was here to see and feel the world! Instead what floated to my mind was the fact that I want to see if I can do it. Can I survive a year of travelling, of uncertainty and if so, what can I learn about myself and how I interact with the world around me? Or even more so, will I learn anything at all? Now I am not discounting any of my experiences or places that I have the good fortune to visit, and I am happy to have travelled for as long as we have. But ultimately, I have come to realise that travelling is more about the person than the places. Travelling is hard. It tries you, and even more so if you are in a relationship. It tests your resourcefulness and your adaptability, but if you let it, it can be very rewarding and it can also teach you new depths about yourself that you may not have even known existed. Blue skies, long stretches of white sandy beaches lined with coconut trees and crystal-clear aquamarine warm waters. Days spent snorkelling and frolicking in the water, with the afternoons spent sunbathing and the nights chilling out on a hammock under the stars. Well this was how our Christmas and New Year’s was supposed to be, that is until Cyclone Evan struck Fiji, just days before we were due to leave Auckland. Luckily, no one was hurt in Fiji, unlike Samoa where people lost their lives and livelihood in the cyclone and the following tsunami that hit in the run up to Christmas. The cyclone hit the Nadi side of the main island, skirting along the coast as it made its way out of the area. From what we saw and heard it would seem that people have lost their homes and that the general day-to-day routines have been severely disrupted, from uprooted trees at the airport to power being down and loss of communication between some islands. Our resort was supposed to be on Manu island, just a short distance from Nadi and in the days running up to our flight we were unsure as to what to do. Should we risk it and go or should we stay in New Zealand for the festivities and do something else? Flights resumed just a couple of days before our due date, but with it then came flood warnings around the area and even though in the end they did not materialise, we decided to stay put. Despite losing our flights we decided to stay in our accommodation until the 27th December and then rent a camper van for a whole month instead of the original 2 weeks we had planned. We may not be relaxing on the beach and soaking up the sun while drinking from a coconut, but we will be enjoying an adventure around the 2 islands, and who knows we may even spend a few days on a beach here too! However, throughout this my heart goes out to all those having to deal with the devastation of living post cyclone and post tsunami, especially at this time of year. After 9 months of travelling from Mexico to Argentina it was finally time to leave Latin America, and head across the ocean to new lands. In this case for us it was off to New Zealand. Our flight from Santiago, Chile, had not been the smoothest, with an already late departure of 11.25pm, we ended up with an unexpected long delay. Just as we were about to take-off we were turned around and told the plane could not leave due to the air con system not working. 3 hours later the technicians finally replaced the faulty parts and we were able to take-off. Landing in Auckland early the following morning and feeling a little groggy from the flight, we looked out the terminal for a glimpse of our new country to explore. The first thing that struck us was the weather. Having been accustomed to an average temperature of 25C + and clear blue skies on a daily basis, what we saw was a shock to a system. We arrived to grey skies, rain and a top temperature of 15C and it felt a little too like the UK…. However, as we moved the through the airport we couldn’t help but notice that this was indeed a very different experience to landing, at say, Heathrow. We were greeted by gentle music playing through the speakers, a virtually empty airport, friendly staff greeting us and an overwhelmingly relaxed atmosphere. It was easily the most calming landing experience in my life. Continuing on our way out we were met by an overly friendly immigration officer welcoming us whole heartedly into the country, rather than questioning us on our intentions. And as we exited customs the first thing we noticed was a large information point called “i-site” with just about every leaflet you could imagine. As if that wasn’t enough, they even had free phones for you to use to call hostels and free SIM cards for your phone. I was amazed. We spent the first few days exploring the city centre around us and generally getting used to our new environment. However, we couldn’t get over how empty this supposed “large” city was. Now I know Auckland is small by comparison to other cities, but this felt more like a town in terms of number of people. When we mentioned this, we were told to go to Queen Street, the main shopping area, as that was where most people would be. We went, and have been numerous times in the run up to Christmas and it still feels as busy as a small town! We had been considering moving out here as part of our original plans and therefore decided to gather some information to fill in the missing gaps in our research. Again, at the risk of repeating myself, we were surprised at how easy it was and how chatty people were. We decided to pop into a bank just to ask about the process of opening an account and 20 minutes later we were still chatting to the manager about her family in Fiji. Immigration was even easier. No appointment needed, no queueing, just turn up, go to the counter and have all your questions answered! We started to feel like New Zealand actually genuinely did want tourists and prospective new residents in the country. Not just because of potential money spent here, because things here are definitely not cheap, but more because everyone seems keen to show you what New Zealand is really about. I haven’t quite nailed its essence but I can’t help feeling more relaxed and thinking that maybe this place is, as they say here, “awesome”.